Now the 4.0 release is approaching very fast and I’ve been working full(free)time on an extended tutorial writing an e4-RCP-Applications. Looking forward to the e4 tutorial! has the RCP tutorial on E4 been released or not ? Please ask question about e4 on the eclipse.e4-newsgroup. 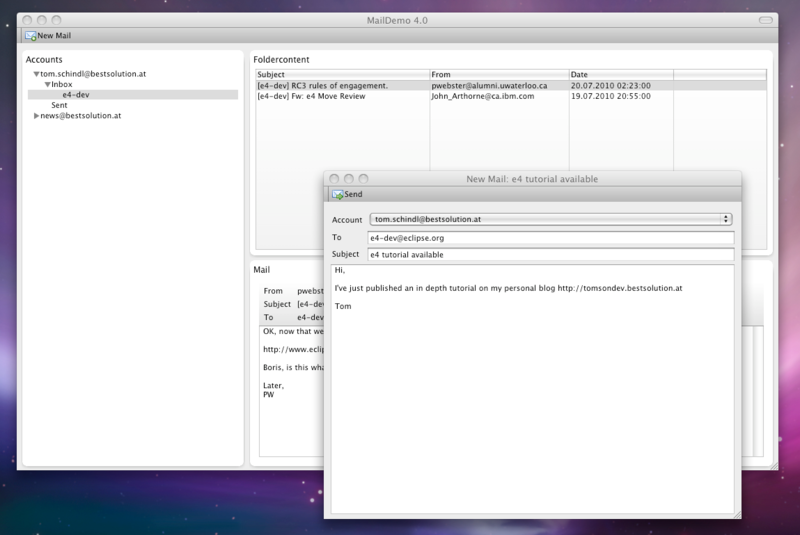 If you don’t want to use your Mail-Application to work with newsgroups you can use the forum.